This coming week, the Licensing Sub-Committee will hear two applications relating to Brixton Hill. These applications were previously reported here. 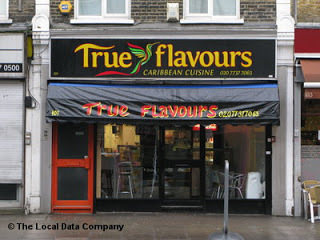 Popular Acre Lane takeaway True Flavours is applying to extend its hours until 0530 most mornings. Councillors have objected on the basis of public nuisance, given existing nuisance and anti-social behaviour, including noise, loitering and excessive cooking smells. On Brixton Hill, the former South Beach Bar is seeking to re-open as the ‘Hilltop Function Room’, as a space for weddings and family events with the potential for a cafe or restaurant upstairs. Councillors have made representations to ensure the necessary conditions to prevent undue nuisance and any return to the anti-social behaviour and criminality associated with South Beach. The Sub-Committee meeting takes place on Wednesday 11 June at 7pm in the Town Hall. The public are welcome to attend although only those who have made a valid representation are able to speak. This entry was posted in Blog and tagged Acre Lane, Brixton Hill, licensing, restaurants and bars by Martin Tiedemann. Bookmark the permalink.